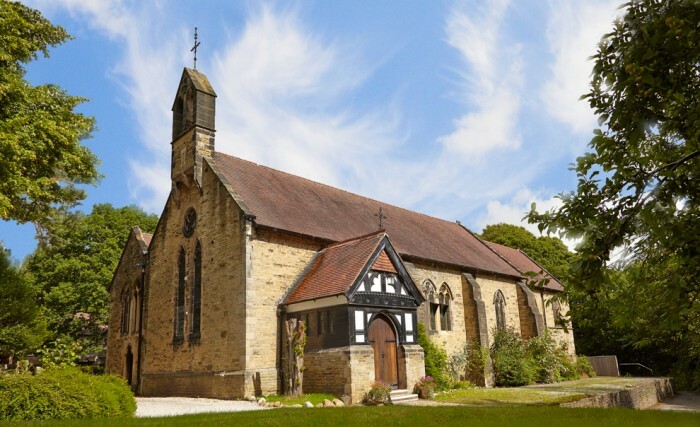 St Martin’s Low Marple Heritage Trust exists to preserve and make known the artistic heritage of St Martin’s church, a Church of England church in Marple, which lies within the Metropolitan Borough of Stockport in the Greater Manchester area. St Martin’s is a parish church in the liberal Catholic tradition of the Church of England. It was founded in 1870 by a local family who, influenced by the Oxford Movement and the ritual revival in the Church of England, wished to establish a church where Anglo-Catholic ceremonial would be observed. To create a worthy setting for this, the church employed prominent architects and designers over a period of fifty years. The church now stands as a treasury of work by artists in the English Arts and Crafts Movement. It is a Grade II* Listed Building, and thus of national significance. The Trust hopes to gain wider recognition of the artistic worth of the church, and to make it more accessible to the local community. Saturday 13th April: The Artistic Religious Environment. An afternoon workshop led by Dr Geoff Brammall, Reader at St Martin's, and Anthony Burton, Trustee of St Martin's Heritage Trust, exploring how developments in art and religious practice influenced the design of Churches (including St Martin's Church). Thursday 25th April: Talk by Mark Hudson, descendant of Mrs Ann Hudson the foundress of St Martin's. In what promises to be a fascinating talk, Mark will describe how the Hudson family arrived at Brabyns Hall from Westmoreland via London. Monday 6th May: Visit to 3 Staffordshire churches. Following last year's highly enjoyable trip, a further minibus tour to visit 3 churches illustrating the development of Anglican practice through church art and architecture. The trip includes St Giles, Cheadle, the acknowledged masterpiece of A W N Pugin.